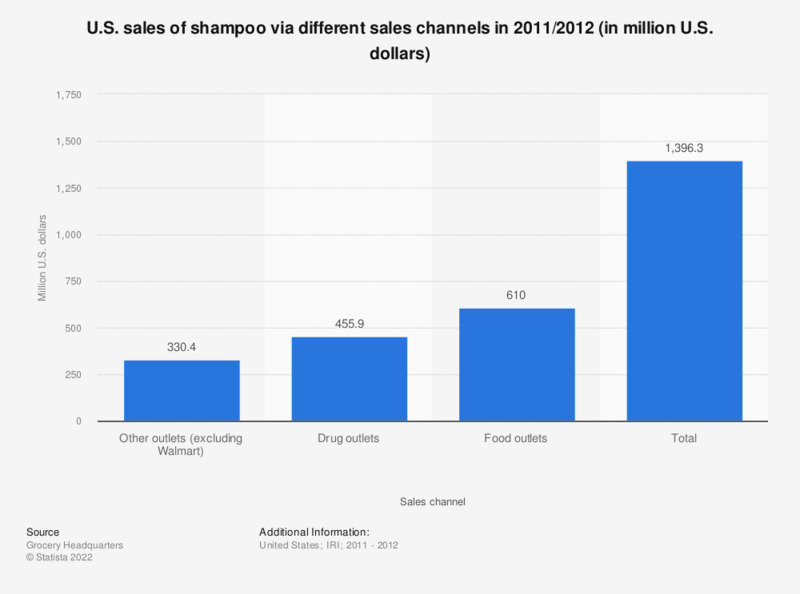 The statistic shows U.S. sales of shampoo via different sales channels in 2011/2012. In that year, U.S. sales of shampoo via drug outlets amounted to 455.9 million U.S. dollars. Total U.S. shampoo sales were 1.4 billion U.S. dollars in 2011/2012.